I work all day on the computer. I come home. What little time I want to spend on the computer, after work, is to check the news, get caught up on Twitter re the Trump situation/GOP. After that, I just want to hang with my husband, watch some tv, read. I honestly believe that until either the Trump situation ends (that will take years), or I retire (that will come much sooner)…I just can’t seem to consistently make time for blogging. I’m very sorry. My life is work, politics, and trying to escape from both. It’s just where I am. This entry was posted in Uncategorized on April 17, 2018 by Silver Willow. Barbra Streisand! 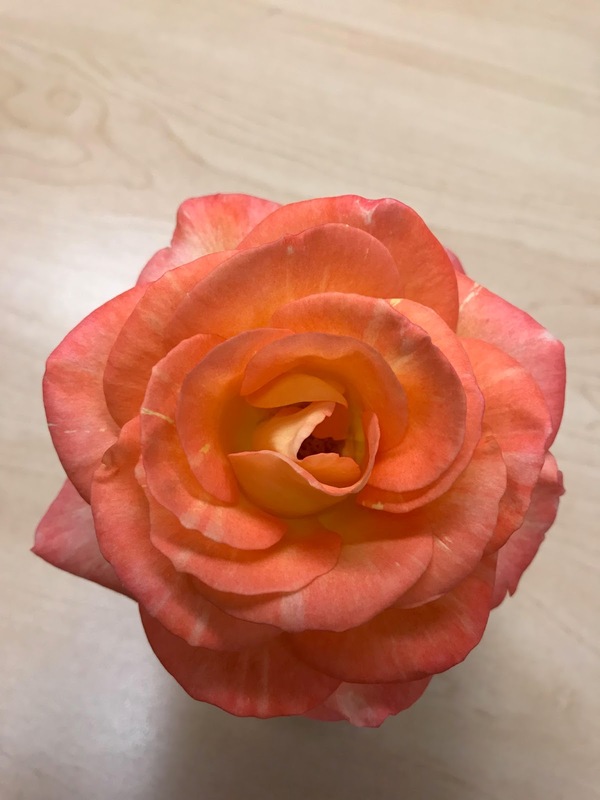 Over 5 inches in diameter, and best smelling rose I own! This entry was posted in Uncategorized and tagged Roses on April 12, 2018 by Silver Willow. This entry was posted in Uncategorized and tagged Chihuly, Roses on April 10, 2018 by Silver Willow. I’m talking the Super Bowl of golf tournaments! And I’m loving it. Although I am not a fan of the guy in the lead (a pretty good lead, with only today left), I don’t dislike him. And anyone with any background in The Masters knows what can happen to a lead on the last day. Ask Greg Norman. He had a five-stroke lead on the final day, and LOST. It’s that hard of a course. It’s that big of a tournament. ANYTHING can happen. I’m excited because my favorite players are all near the top. Rickie Fowler. Bubba Watson. Dustin Johnson. Rickie has the best chance of the three, but all are in the top 10, so I’ll be seeing many hours of their playing the entire, gorgeous course all day today. I’m in heaven. This entry was posted in Uncategorized on April 8, 2018 by Silver Willow. This entry was posted in Uncategorized on April 6, 2018 by Silver Willow. In any case. I’m here. and actually starting to post at YOUR blogs! Yay! That’s all I got. Hope your Easter/Passover/? was nice! This entry was posted in Uncategorized on April 4, 2018 by Silver Willow.